Jesse Christen is a lifelong guitar enthusiast. Since his toddler years, nothing has moved him more than the sounds of music. He was the only kid at his elementary school who could tell you all the names of the Beatles and the Rolling Stones. And since he was 12-years-old, there’s been a guitar in his hands. From his humble beginning fumbling his way through a few chords to playing in jazz legend Alphonse Mouzon’s band, Jesse continues to improve his musical knowledge and skills on the instrument. 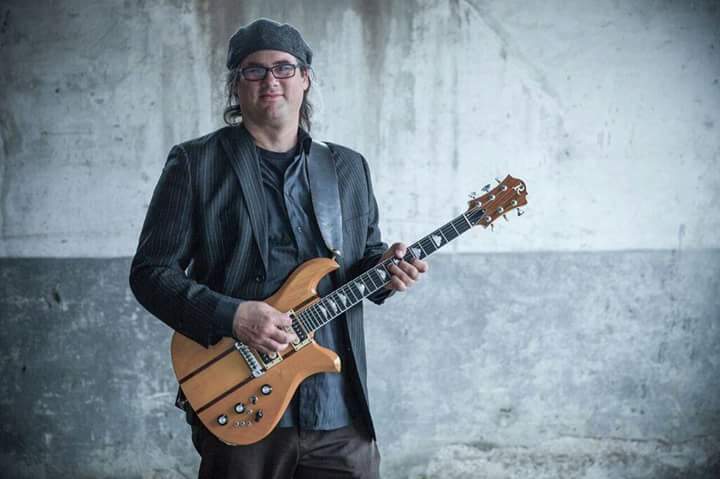 Even as an established musician, he still continues to work on his craft and has recently studied with jazz guitar legend and musical innovator Larry Coryell. His patience, enthusiasm and positive temperament makes him perfect for the beginning student while his vast knowledge of musical theory and mastery of musical styles makes him the perfect choice for advanced students. He’s taught students ranging in age from eight-years-old to 70-years-old. As a child growing up in rural South Dakota, where quality musical instructors are few and far between, he understands the importance of quality musical education. So whether you’re interested in jazz, rock, blues, folk or country, Jesse will have something to teach you. As a performer, Jesse has shared the stage with many musical greats like Kenny Wayne Shepard, Edgar Winter, Boz Scaggs, Chris Duarte and Magic Slim. He’s played at numerous Sioux Falls Jazzfest festivals include three times as a featured Main Stage performer. He’s a regular guitarist at the Sioux City Tommy Bolin Festival each summer, recreating the music of guitar legend Tommy Bolin.